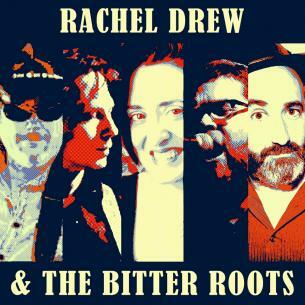 Soulful Americana band, Rachel Drew & the Bitter Roots, features Rachel's vocals with Alton Smith on piano, Gerald Dowd on drums, Dave Nelson on guitar, and John Abbey on bass. The band, and Rachel's songs, pay homage to mid-60s R&B, early-70s Ronstadt, Roy Orbison, and a bit of classic country. Whether inspired by dreams, family, or heartbreak, her songs have a haunted, aching quality. Rachel also performs with Tony Richards, Peter Joly Group, Phil Angotti, Great Moments in Vinyl, and more.